The Garlic Patch. Adirondacks. 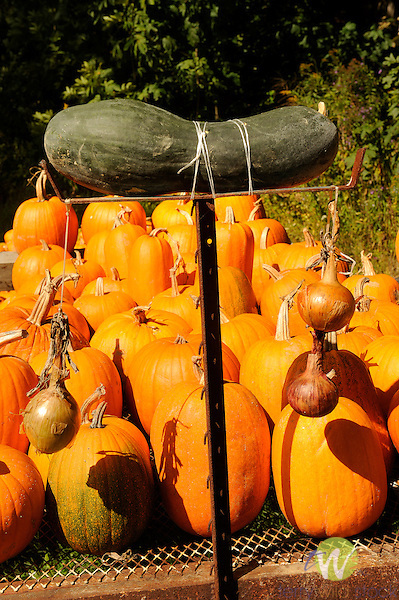 Pumpkins, onions and zucchini in odd display. Copyright: Terry Wild Stock Inc..